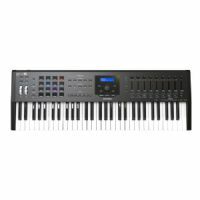 Since the appearance of the first KORG nano series in 2008, which brought new possibilities of “mobility” to USB-MIDI controllers for PC-based music production, these simple. 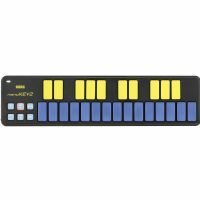 Inspired by clip-based DAWs, the limited edition orange and green Korg nanoPAD2 is an ultra-compact and low-profile pad controller, perfect for entering drum data and one that fits perfectly in front of a laptop or desktop computer keyboard. 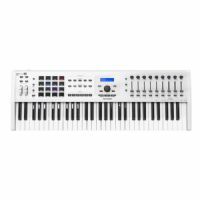 Arturia’s premier MIDI controller, KeyLab MkII 49 represents a quantum leap in terms of control, quality, and expression. 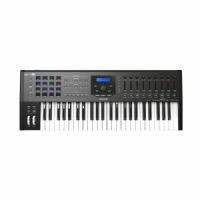 Arturia’s premier MIDI controller, KeyLab MkII 61 represents a quantum leap in terms of control, quality, and expression.